It is over 2 weeks since the fire that took at least 80 lives at Grenfell Tower in London. The enquiry into the fire is at this point of time blaming the cladding on the building, mostly on the material below the aluminium cladding. What I have to say is that there is no such thing as flameproof aluminium. Aluminium burns. The good news is that aluminium is hard to light even as a powder. But aluminium powder is a fuel. It us the fuel in a sparkler firework. I have worked in quality control in a firework factory, aluminium powder is used as a fuel. Aluminium burns, it can be made to explode. Aluminium also burns very hot. I have no doubt though that sheet aluminium is something different. In a block or heet form aluminium is very difficult to light. 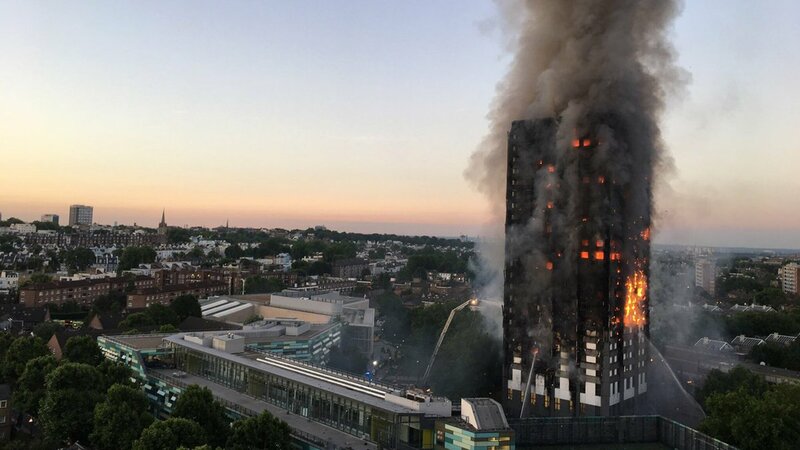 There is no doubt that the cladding panels would have been flame retardant, but given reports about the heat of the fire, I would be very surprised if the aluminium was not burning. It would take extreme circumstances for aluminium to ignite, but the conditions in Grenfell Tower were nothing if not extreme. My prayers go out to those affected by this disaster.